The holiday season is almost here and this may mean increased responsibility, stress, company, or deadlines at work. Breathing is an essential part of life; we breathe an average of 2,000 times per day. However, how many times have you noticed that you are holding your breath? Have you ever attended an exercise class and the instructor cued you to breathe? Or lifted a heavy box or worked diligently at the computer and realized you forgot to breathe? It seems intuitive but for a variety of reasons people tend to limit depth of respiration during certain situations. This could be caused by a stress response, habit, or learned behavior. Increased awareness, and in some cases physical therapy, many be recommended to improve breathing and function. This article will dive into the stress responses and physiology of breathing with the hopes to give you some tools to breathe through the holidays. The effects of stress on the body are multifaceted, one component of the stress response is hormonal activity and changes of the autonomic nervous system. The sympathetic and parasympathetic nervous systems are constantly creating a give and take within each person. The sympathetic nervous system is responsible for the fight or flight response. If danger or a threat is sensed heart rate, heart muscle contractibility, and blood pressure increase in preparation to run from danger or fight.1 The perceived threat in modern society is typically non-physical which means the aforementioned physiological systems are activated without the physical exertion the body has prepared for. The parasympathetic nervous system helps with relaxation and digestion; it creates a calming effect and decreases heart rate.1 Both nervous systems are active throughout every day. As one increases the other decreases. The balance can be affected by breathing; stressful breathing can stimulate the sympathetic nervous system and mindful breathing can stimulate the parasympathetic nervous system. Breathing tends to be shallow during stressful situations with compensatory and suboptimal breathing patterns. When we breathe optimally we use our diaphragm, which sits at the bottom of the rib cage, and intercostal muscles to inhale and exhaling is basically passive at rest.1 During quiet restful respiration a typical inhale is 1 to 1.5 seconds and the exhale is 2 to 3 seconds.1 Our diaphragm and the intercostal muscles between each rib drive expansion of the rib cage which results in a pressure differential that draws air into your lungs. The more air in the lungs, the more effective your body can use oxygen and get rid of carbon dioxide. Under stress, a person is more likely to breath by pushing the belly in and out or moving the shoulders up and down. These strategies are not effectively changing internal pressure and lead to shallow breathing with potentially diminished gas exchange. Some symptoms of decreased oxygenation include dizziness, confusion, cough, fatigue, and decreased activity tolerance. The researcher, Mary Lou Galantino, PT, PhD, found that patients in chronic pain tend to be apical (upper chest) breathers.2 Galantino continued commenting that “becoming aware of breath can start to shift their [the patient’s] physiology,’ she sys. ‘The research shows that individuals in a hyper-aroused state typically are in sympathetic overdrive, and that’s why their breathing is shallow.’”2 Mindful awareness of breathing can help increase the parasympathetic nervous system and decrease the stress response in the body. Sit upright in a chair or lay on your back with knees bent and feet on the floor. Inhale through the nose and feel your rib cage expand in the front, back, and sides. Aim for a 5 second inhale. 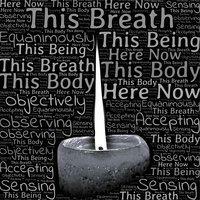 Exhale through the mouth and feel the ribs move toward spine. Aim for a 10 second exhale. Try to make the exhale longer than inhale. Exhale fully and then pause, 2-3 seconds, before the subsequent inhale. Physical therapist are uniquely qualified to assist and evaluate respiration as it pertains to functional limitation because of physical therapist expertise in the physiology, orthopedics and mindfulness needed for effective breathing. Increasing mindfulness of breath takes time and persistence. If you believe individual instruction or evaluation would be beneficial for a certain condition talk to your doctor or trusted physical therapist. The physical therapists at CorePhysio would be delighted to work with you or find a clinic close to your home. Becoming mindfully aware of breath is an effective way to increase parasympathetic drive and be aware of the stress response on the body. Katie is a hiker, cyclist, cross-country skier, and accomplished dancer —and she practices mindful breathing with all! In her professional life at CorePhysio, Katie has a special interest in vestibular rehabilitation and performing artist rehabilitation. She enjoys hearing client stories and helping them return to their activities. O’Sullivan, S.B. (2014). Physical Rehabilitation, 6th Edition. Philadelphia, PA: F.A. Davis Company. Wojciechowski, M. (2017, February). Mindfulness: How It Can Help Patients, PTs, and Students. PT In Motion. Matthews, K. (2016, August). 6 Breathing Apps to Keep you Calm and Focused. Productivity Bytes, a Tech and Productivity Blog.